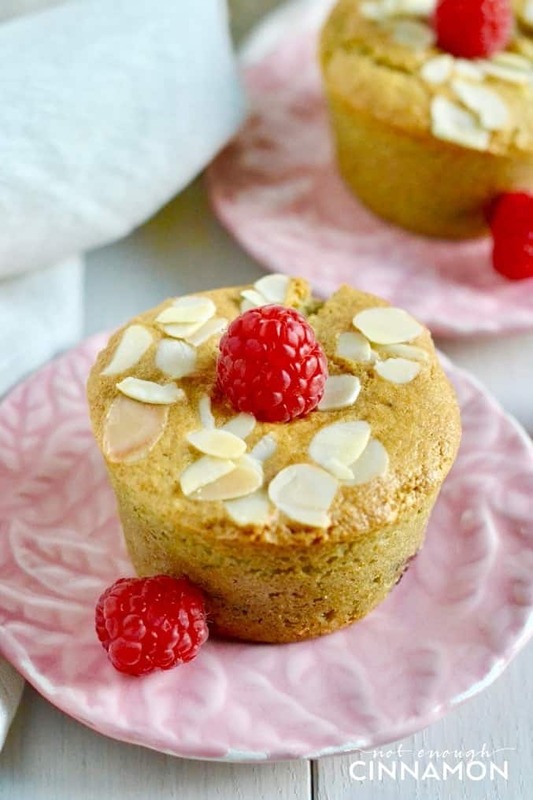 Being made with wholesome, nutritious ingredients and no refined sugar, these healthy almond muffins are a perfect grab-and-go breakfast and they make a delicious, balanced snack too! 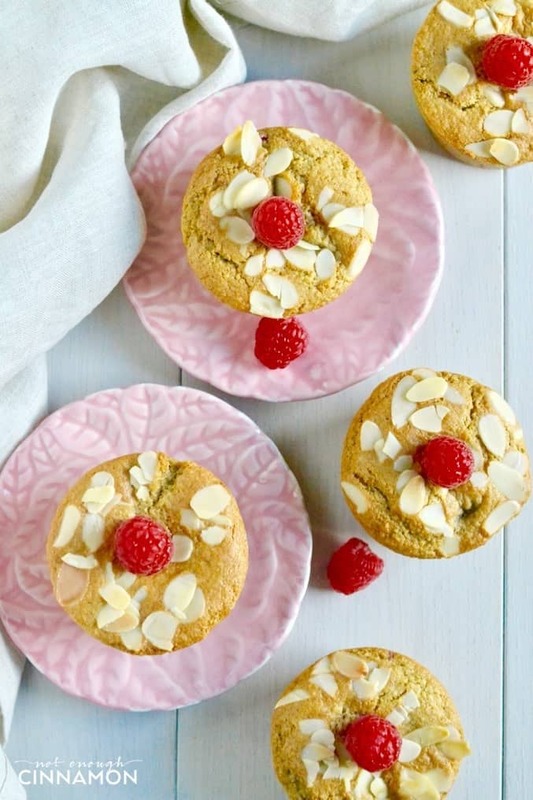 Aren’t these almond muffins the cutest little things? Looking at these pictures, I feel like I’m about to have tea with the Royal Family at their palace of Holyroodhouse in Edinburgh. 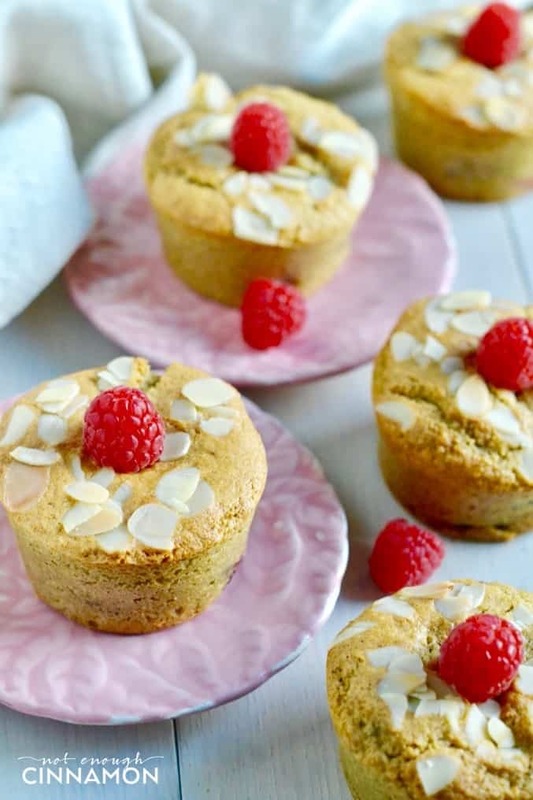 Being made with wholesome and nutritious ingredients and little (natural, not refined) sugar, these healthy almond muffins are a perfect option as a grab-and-go breakfast and they make a delicious, balanced snack too! You’ll most likely won’t have time to bake these almond flour muffins first thing in the morning, but they freeze really well so you can make them when you’re less busy, store them in the freezer and pop one in the microwave to defrost when you need it. Want more snack ideas? I made you a list of 50+ clean eating snack ideas that you can download just below ???????? Print it, keep it on your phone and snack your heart away! Enjoy, friend! 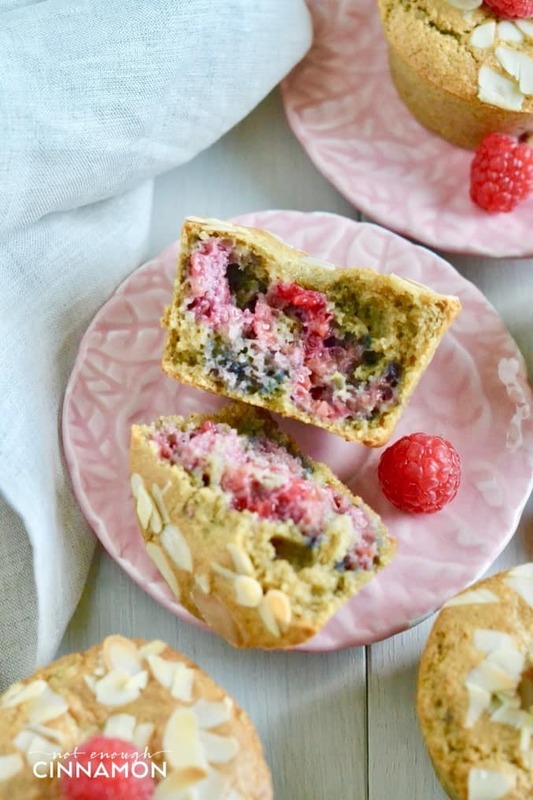 If you tried these healthy Raspberry Almond Muffins, don’t forget to rate the recipe below and let me know how it went in the comments – I love hearing from you! You can also follow me on Instagram, Pinterest, and Facebook for more deliciousness and behind-the-scenes! Preheat oven to 350F/175C degrees. Add oats to a food processor. Pulse for 10-15 seconds or until oats become a gritty meal. Add to a large mixing bowl and whisk together with the almond meal, arrowroot (or tapioca flour if using), baking powder, baking soda, and salt. In a separate mixing bowl, whisk together eggs, maple syrup, and coconut oil. Stir in to dry mixture, making sure to combine well. Then, fold in raspberries gently. Line a muffin tin with muffin liners, then fill 3/4 full. Top each muffin with sliced almonds, then bake for 15 minutes or until they are browned and a toothpick comes out clean. Set aside to cool. When/where in the DIRECTIONS do we add the alond flour ? Hey Mel, sorry about that, I just updated the recipe! You add the almond flour with the arrowroot, baking soda and so on. I am relatively new to baking with almond flour but this recipe seems like a great way to start! And raspberries and almonds? Always a great idea all year round!